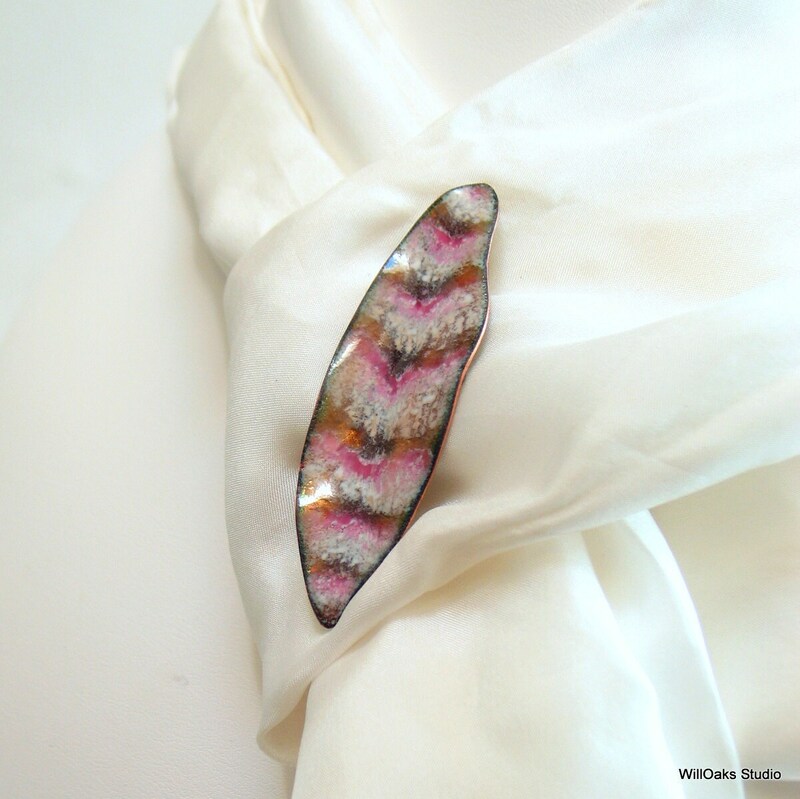 Feather or leaf pin, features a chevron stripe pattern inspired by nature in shades of pink, white and brown. 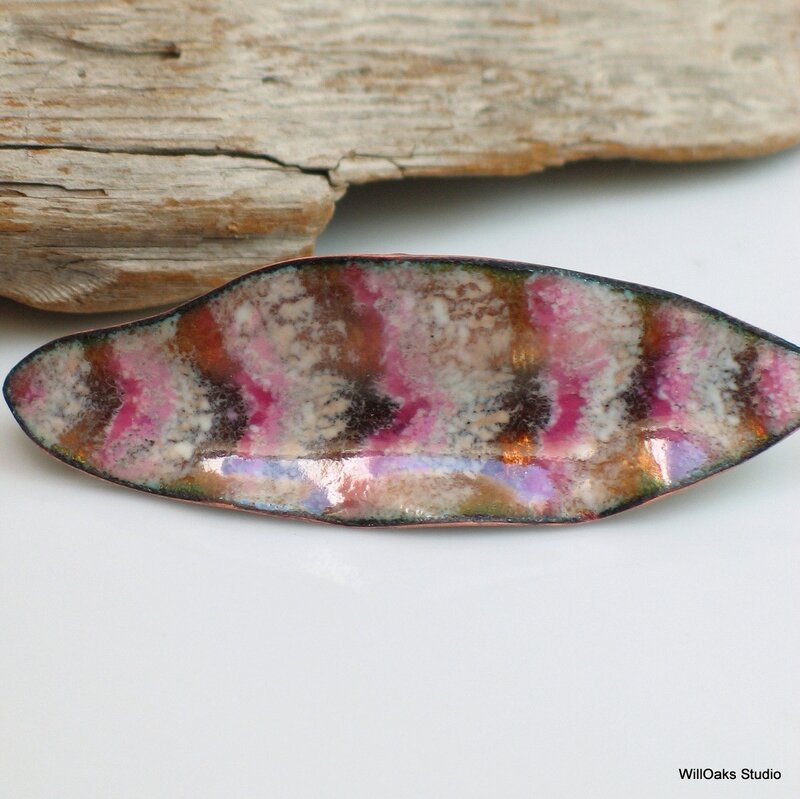 My fanciful brooch is formed from hand cut and shaped copper and has been coated with glass enamel. Many layers of fine glass are bonded to the metal, front and back, under high heat in a kiln. 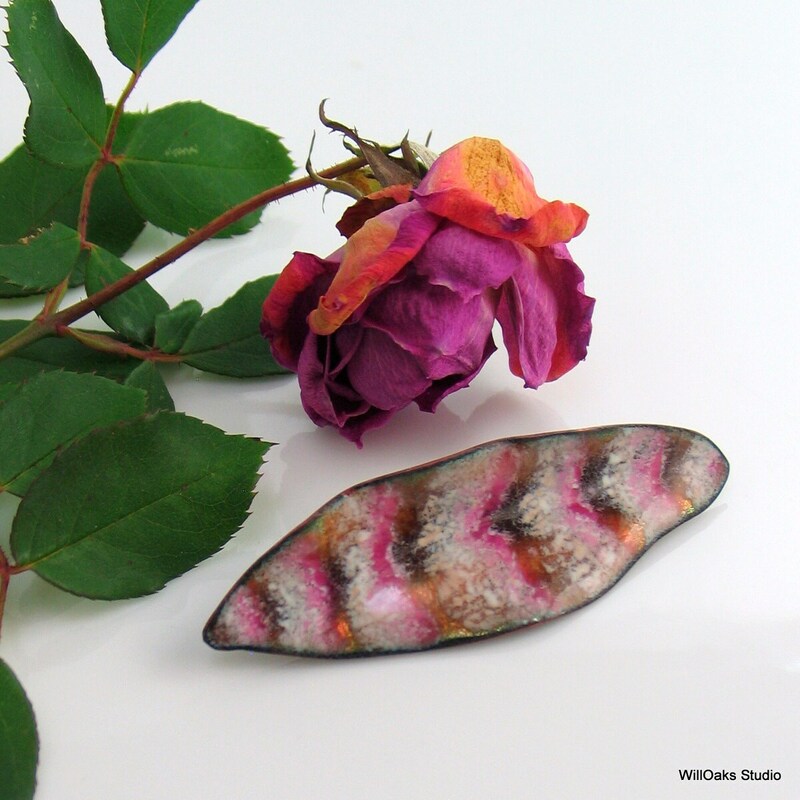 My experimental enamels incorporate opaque and translucent areas and the more transparent parts reveal polished metallic surfaces underneath which reflect light and surroundings. 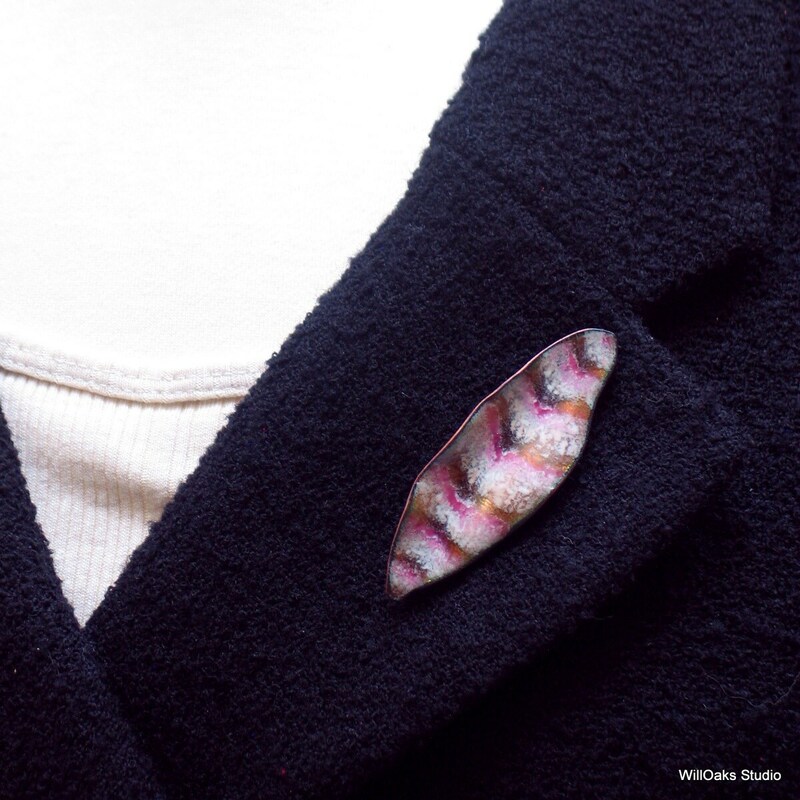 This feather inspired pin is one of a kind. It is a piece of art jewelry inspired by nature is fresh feminine colors. 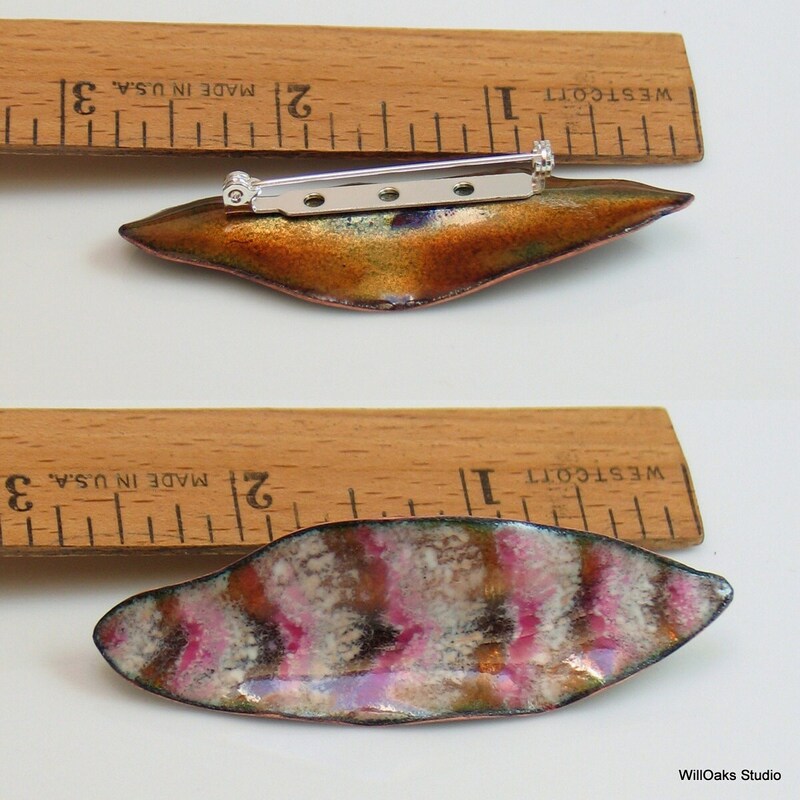 Pin measures about 2 5/8" (67 mm) long and about 7/8" (22 mm) wide at the widest. Presented in my signature box & ready to gift.